Quick anchor winch is a kind of fast speed marine winches, whose steel ropes’ wiring rated speed is about 30m/min. 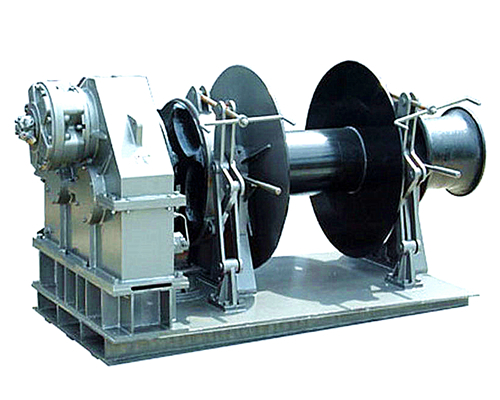 The anchor windlass manufactured from Ellsen is a kind of electric winch designed with different kinds of capacities. This kind of anchor windlass winch can be widely applied in marine industries, such as boats, ships, yachts, small bows, etc. It can also be applied in constructional sites as a hoisting component of the overhead cranes and gantry cranes. 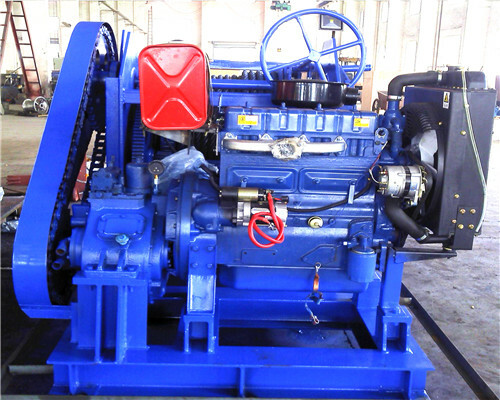 The anchor windlass also has hydraulic and manual powered types, any kinds of you need, Ellsen Winch Machinery can tailor to you. 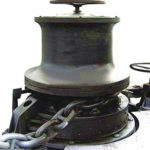 What types of quick windlass anchor winches in store at Ellsen? 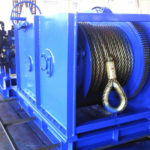 There are different types of quick Ellsen anchor winches which have been widely imported to our customers at home and abroad, such as the quick anchor boat winch for Australia friends’ boat anchoring and mooring applications, the quick 1000 anchor winch with high-speed configurations used for NZ customers building construction sites. 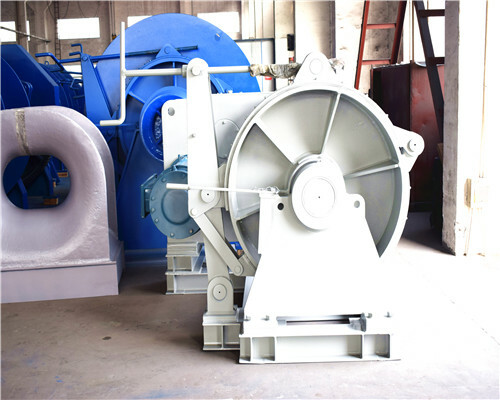 Whatsoever, various types of anchor quick windlass with different power types are also at your business convenience, such as the quick electric anchor winch, and the hydraulic quick electric anchor winch whose performance is higher and material handling loads is heavier than those motorized power and hand winches. Quick anchor windlasses specifications are as follows for your RFQ reference. In Ellsen, the company can manufacture quick anchor solenoid winch. 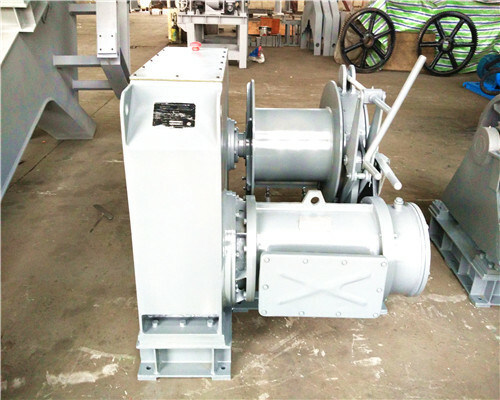 The quick winch with electromagnetic brake is a kind of electric winch with different types: quick anchor windlass winch with cylindrical gear reducer, quick anchor solenoid winch with fast stroller and worm gear reducer and electric anchor winches with slow stroller, cylindrical gear reducer and open gear driven stroller quick anchor windlass, and the worm gear reducer and open gear driven stroller anchor winch. Quick electric anchor winch is a kind of ac high-speed winch with electric motors. 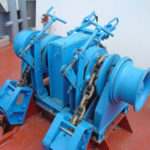 Among so many electric winches in Ellsen, this type of anchor windlass is a best hot sale one. The electric anchor winch windlass include the drum anchor winches, such as single drums, double drums, and anchor winches with different capacities, such as 1t quick anchor electric winches, 2t electric anchor winches, and 3t to 35t anchor windlasses with high speed configurations. Any types you need, the factory can tailor to you. Ellsen boat anchor winch is a kind of marine winch used for marine industry applications. This kind of quick windlass anchor winch also is used for boat anchoring and mooring applications. Companied with mirroring winches, marine drum winches, anchor capstans, and tugger winches, the boat anchor windlass is perfectly for your ships, yachts, boats in different sizes. Equipped with Ellsen quick boat anchor windlass, your business productivity will be highly promoted. 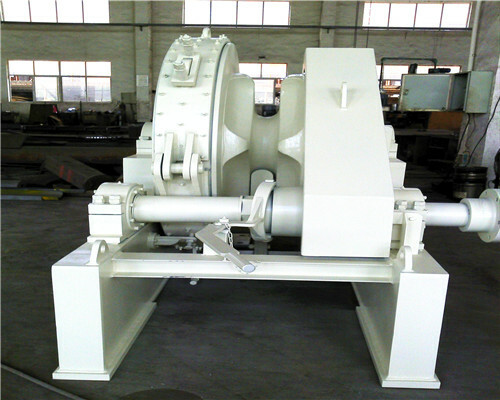 Ellsen fast speed winch is suitable for vertically conveying powdery, granular, and small-grained, loosely-ground bulk materials, such as grain, coal, cement, ore, etc., with a lifting height of up to 40m. Quick type is designed and manufactured according to JB3926-85 “vertical fast winch” standard. 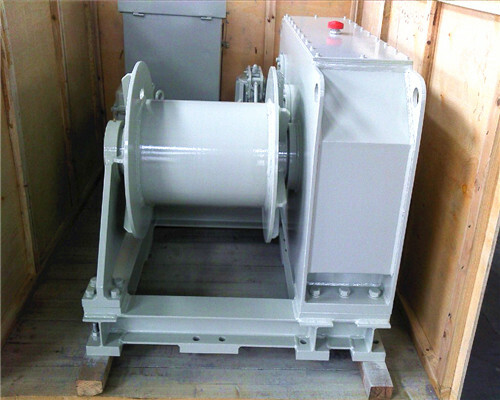 At present, domestic commonly used fast winches are the vertical type and relatively new type. 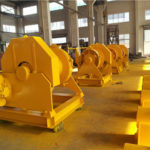 The quick type winch is equipped with four kinds of hopper Q type (float), H type (arc bottom bucket) and ZD type (medium deep bucket) SD type (deep bucket). 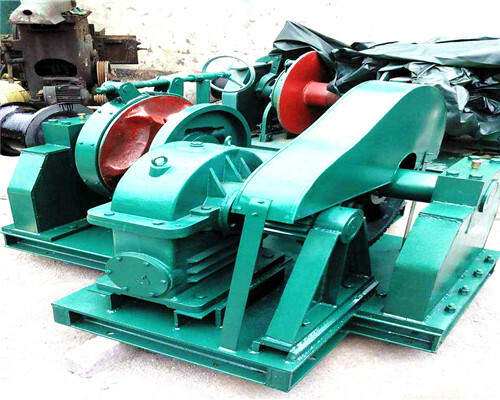 Ellsen fast speed winch consists of an operating section (hopper and traction tape), an upper section with a drive roller, a lower section with a tension roller, an intermediate casing, a drive device, a backstop brake device, etc. Upwardly convey bulk density, ρ<1.5t/m3 powdery, granular, and small-grained non-abrasive and semi-abrasive bulk materials, such as coal, sand, coke, cement, crushed ore, etc. 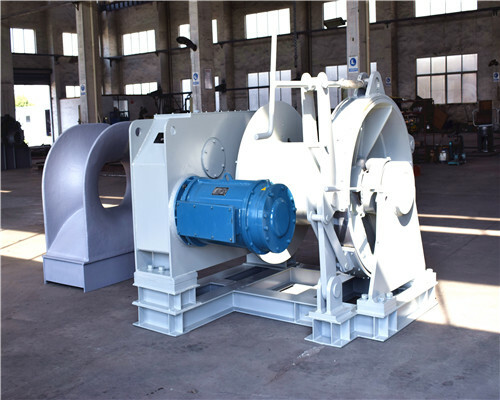 TD-type quick winch structure: Transmission TD-type bucket elevator transmission has two forms with YZ type reducer ZQ (or YY) reducer. 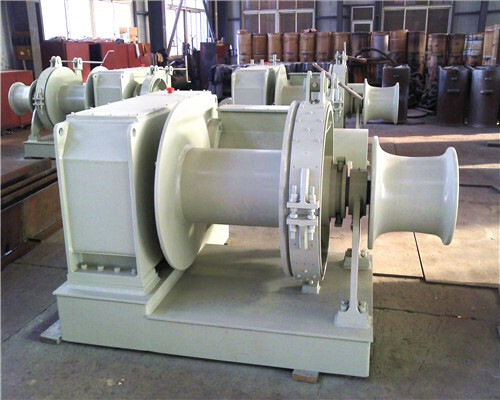 YZ-type shaft reducer is directly installed on the shaft head, eliminating the need for a drive platform, coupling, etc., to make the structure compact, lightweight, and its inside with a special roller backstop, reliable backstop. The reducer has low noise, stable operation, and floats with the spindle to eliminate installation stress. Small driving power, adopts influent feeding, induced discharge, large-capacity hopper-intensive arrangement. When the material is lifted, there is almost no return and excavation phenomenon, so there is little invalid power. It has a wide range of lifting. This kind of hoist has less requirements on the types and characteristics of materials. It cannot only improve the general powdery and small granular materials but also can improve the materials with greater abrasiveness. It has good sealing and less environmental pollution. Fast winch operation reliability, advanced design principles and processing methods, to ensure the reliability of the whole operation, no failure more than 20,000 hours. The lifting height is high. The hoist runs smoothly, so a higher lifting height can be achieved. 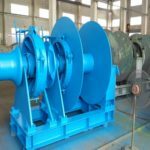 Ellsen winches’ service life is long, the feeding of the hoisting machine adopts the inflow type, there is no need to excavate the material with the bucket, the extrusion and the collision phenomenon rarely occur between the materials. The machine is designed to ensure that there is little spillage of materials during feeding and unloading, reducing mechanical wear. What kinds of quick anchor winch parts are equipped with for a high-performance winch? The following is the quick hydraulic anchor winch main spare parts for your reference. The following Ellsen anchor quick electric anchor winch parts are optional for your industrial facility. Quick anchor winch wiring diagram: if you need, Ellsen winch engineer can provide and design to you. 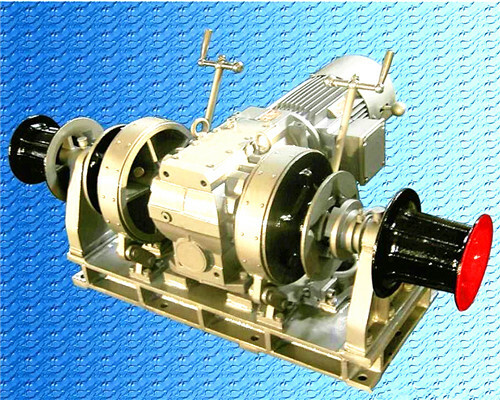 All types of quick anchor winch provided by Ellsen Winch Factory are at factory price. However, if you need our customized anchor winches, the quick anchor windlass will be different from the traditional one. 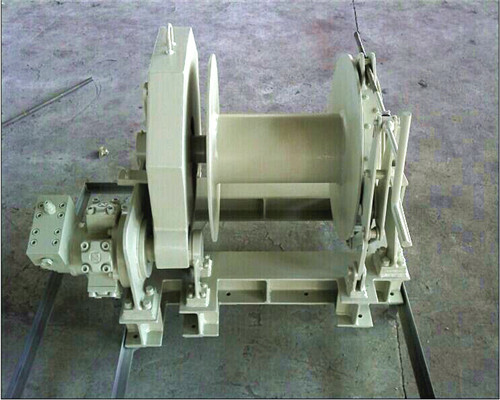 Customized quick winches with additional parts, such as the remote control and handle will cost a bit more. If you are in New Zealand, you will find Ellsen quick anchor winch nz available in many places, as well as in Australia, Ellsen winch factory also have its quick anchor winch Australia and quick anchor windlass parts Australia are also available to the local people. 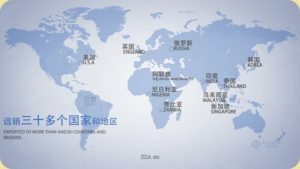 Apart from the south sphere of the earth, Ellsen windlasses are also exported to the north sphere of the Earth, such as in the European countries. 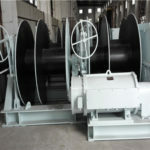 In Italy, customers can also buy our products quick anchor winch Italy. 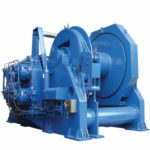 Thus, customers, wherever you are, come in connection with Ellsen, you will find your ideal winches are available to you at our factory. 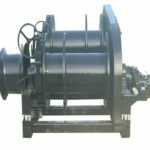 Not only the price of the anchor winch is attractive, but also its performance and quality are sound and nice. Where can you use Ellsen Electric anchor quick windlass winch? Electronically controlled slow speed hoisting machine is mainly used for cargo lifting and large hoisting projects. 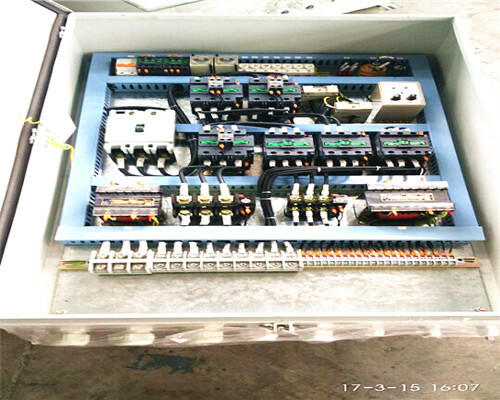 It is suitable for construction and installation companies, civil engineering works in mining areas and factories, and other projects that require good speed control performance and can be reduced in jog speed. 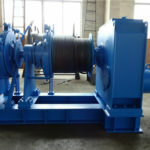 However，electronically controlled fast speed anchor winches are mainly used in construction, railways, factories, mines, bridges, etc., which are suitable for installations such as vertical lifting, horizontal and slope dragging heavy loads and other working conditions. 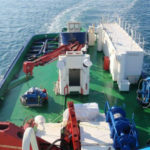 Because of the good speed control performance of the slow winch, the price is higher than that of the fast anchor winch. Open the gate: press the lift button, the hoist will automatically stop when the water filling valve is lifted to the specified position; when the water pressure before and after filling the gate is equal to the specified value, the hoist will automatically turn on the power and lift the gate to the upper limit position. And automatically shut down. The practical opening of the fill valve is less than its design opening, and the full stroke of the gate is equal to the height of the orifice plus 0.5 to 1 m.
Close the gate: press the down button, the hoist will lower the gate to the lower limit position, it should be able to stop automatically. Automatic reset: When the gate slides down to 0.3-0.5m due to water flow impact or brake wear, the master controller should make the hoist automatically switch on the power and return the gate to the upper limit position. The accident closed: Usually, this operation is in the central control room with the direct current operation, and also in the field for debugging. Press the accident button, DC solenoid action, release the brake to quickly drop the gate, when the gate fell to the bottom of about 0.3m, automatically cut off the DC electromagnet power, so that the gate stopped down, after 5s, the time relay to DC solenoid Action, release the brake; or energize the motor and the AC solenoid and lower the gate. Apart from Ellsen quick anchor speed winch, other customized speed winches available to you, such as the variable speed electric winch and JM slow speed winches, any types you need, be free to contact us.